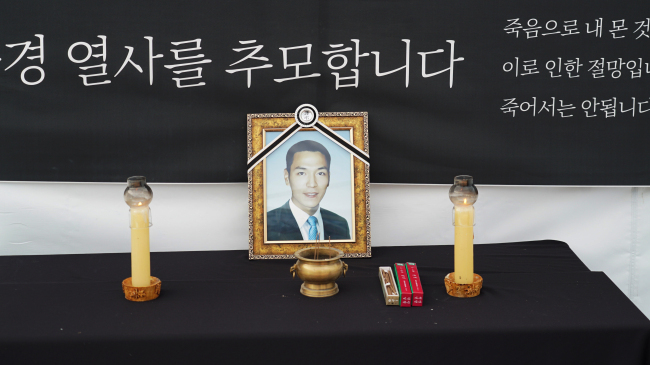 On Dec. 3, Park Jun-kyung, 37, a tenant in the Ahyeon-dong 2 reconstruction area in Mapo-gu, Seoul, was found dead in the Han River. His belongings and a note were found at a pavilion at Hangang Park in the Mangwon area. The note described how he had spent the last three days on the streets with nowhere to go after being forcibly evicted three times. He also asked that his mother be given rental housing so she would not suffer as he had. The late Park had moved to Ahyeon-dong, near Sinchon, known for its wedding shops and furniture stores, with his mother in 2008. 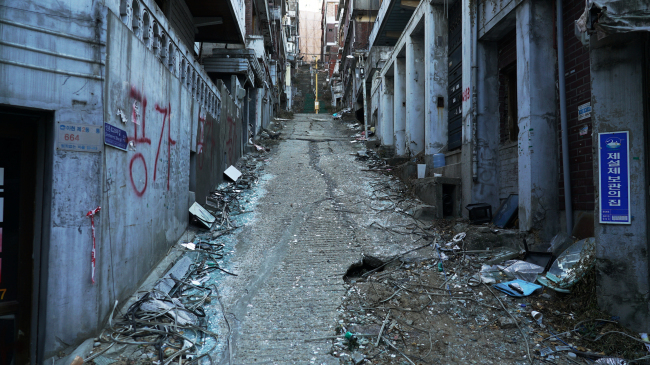 The reconstruction zone in Ahyeon-dong had been designated for redevelopment in 2003, but the plan stalled for over 10 years before it was finally confirmed in 2015. Forced evictions began this year, and many of the tenants were forcibly removed without proper resettlement measures. The Park family had been forcibly evicted several times since July. On Sept. 6, they were removed from their home and found temporary lodging in another house. In mid-October, Park’s mother moved to another house, from which she was again evicted on Nov. 1. On Nov. 30, Park was forcibly evicted again -- the last eviction of the winter season before a ban on such evictions go into effect on Dec. 1. 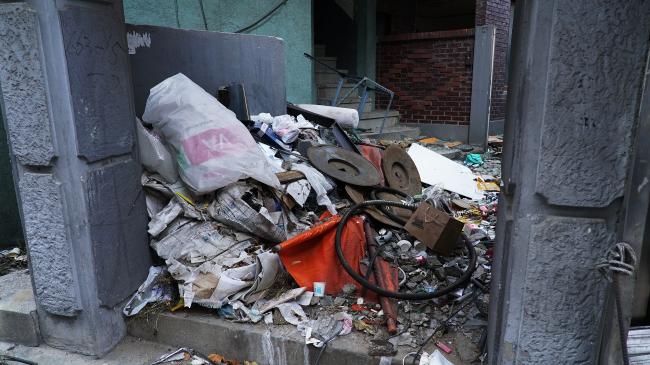 The Nov. 1 eviction had been particularly brutal, according to Lee Gwang-nam, leader of the Squatters and Evictees in Ahyeon-dong 2 Reconstruction Area Committee. The official document said that eviction would be enforced at 3:30 p.m., but about 200 people hired to force people out of homes showed up earlier, spraying fire extinguishers on buildings to drive out tenants and mercilessly breaking windows and smashing objects in the houses. The late Park was apparently at the scene on the day. Characterizing Park’s death as a case of “social homicide” caused by violent, forced eviction and a lack of measures to protect tenants, South Korean nongovernmental organizations, working on the right to adequate housing, submitted an urgent appeal on Park’s death to Leilani Farha, the UN special rapporteur on the right to adequate housing, on Dec. 11. Farha, who visited South Korea in May, urged the government to revise policies and legal systems related to urban reconstruction in a report titled “End of Mission State to Republic of Korea.” The final report is to be issued in March. Only about four households remain in the reconstruction site of Ahyeon-dong. “I have lived in this neighborhood for more than 50 years. While I was away from home, a provisional injunction was made. The compensation amount was ridiculously low because I had not joined the reconstruction union,” a resident surnamed Yoo said. 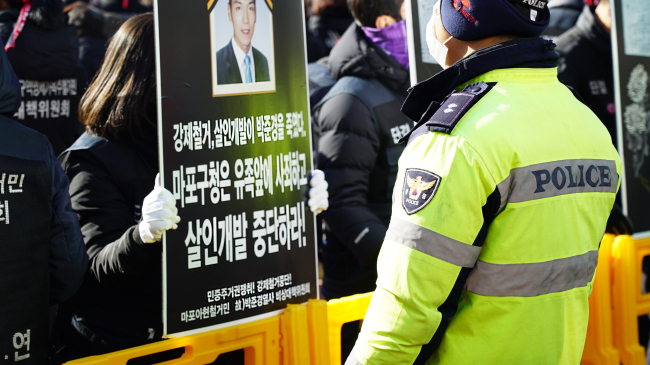 On Wednesday, the first memorial service and protest rally in memory of Park was held in front of Mapo-gu Office. “We intend to maintain the altar until we discover the truth, those that are responsible are punished, follow-up measures are taken and the bereaved family receives compensation,” said Lee. Mapo-gu Office announced it would find a solution with the city of Seoul’s consultative body. “Forced eviction is suspended strictly until next February. We will work with Seoul City to find a solution, as Mayor Park Won-soon has pledged,” said Hong Chang-shik, a Mapo-gu official.